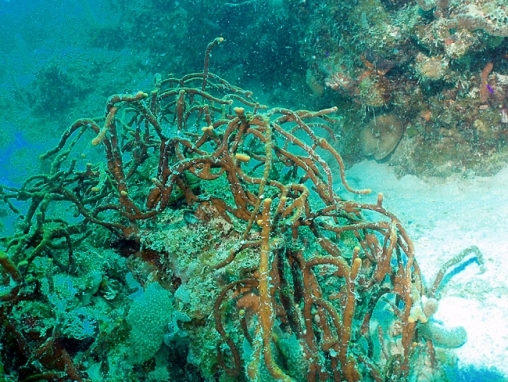 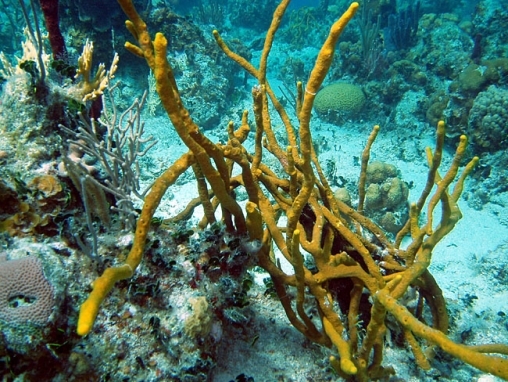 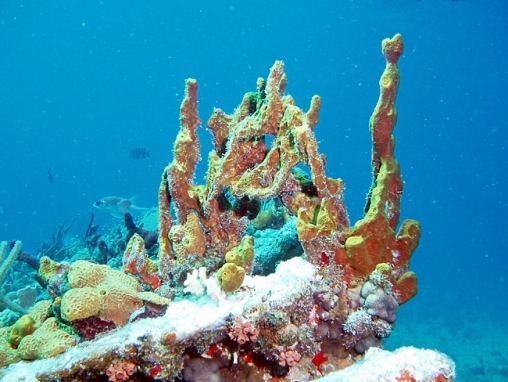 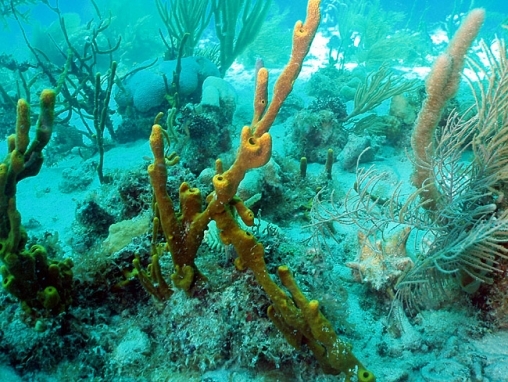 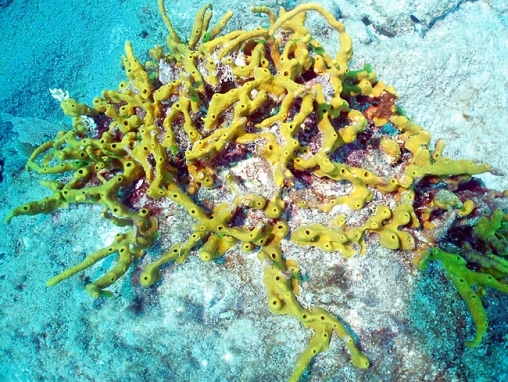 A rope sponge, almost always yellow or yellow brown, forming tangled masses sometimes more than 1 metre across and high. 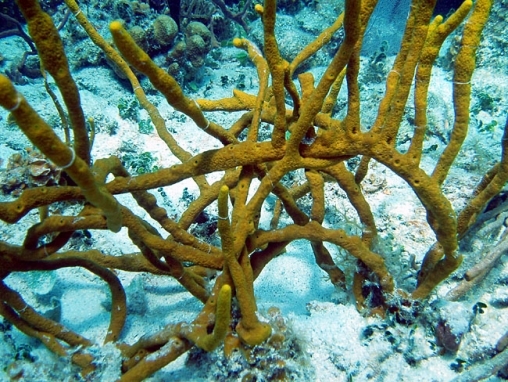 Its exhalent pores are scattered randomly and sparsely compared with the more regular alignment of most rope sponges, and these pores may be relatively large, recessed in the branch and with a smoother textured rim. 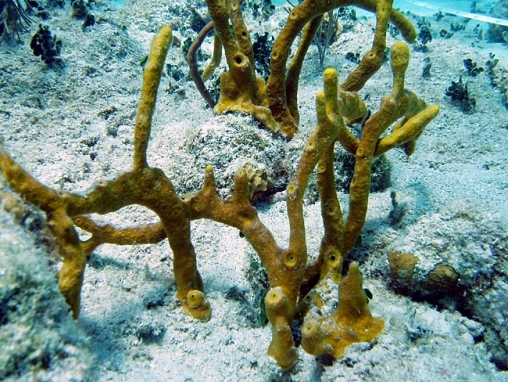 Sometimes the exhalent pores are located on top of minor ’nodes’, similar to but not as large as is the case with tube sponges (see A. insularis).